It’s hard to beat a lantern for area illumination, but lanterns have traditionally used more delicate and less efficient light sources, such as fluorescent tubes or incandescent bulbs, and tend to be large and cumbersome. 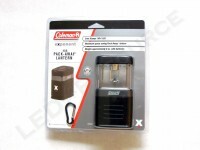 Featuring LED technology and a collapsible design, the Coleman Exponent 4AA Pack-Away Lantern weighs just 8 ounces and produces 95 lumens of light for 5 hours. 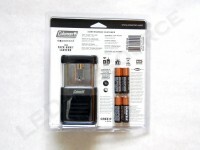 Weight with Batteries: 8 oz. MSRP for the Exponent 4AA Pack-Away Lantern is $34.99, and is available in black, blue, orange, red, and green. 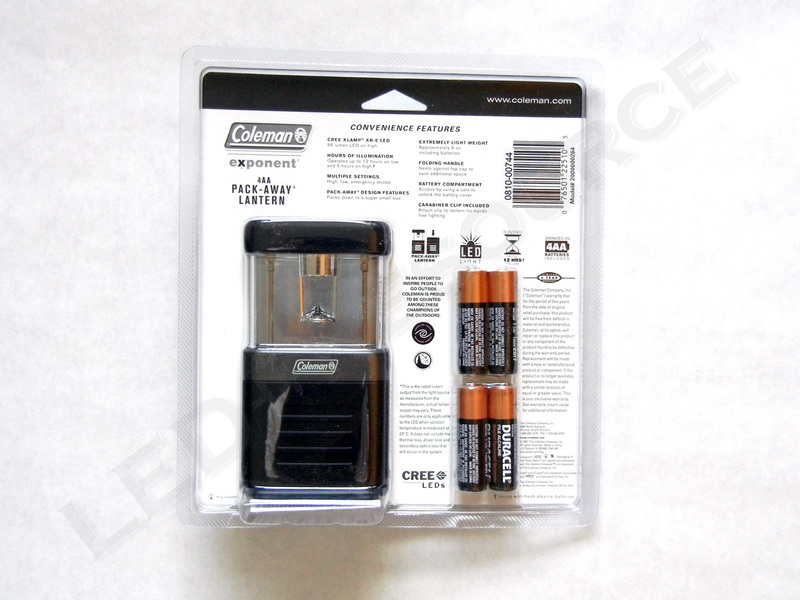 Included in the blister packaging are: Coleman Exponent 4AA Pack-Away Lantern, 4 x AA Duracell alkaline batteries, carabiner clip, and user manual. 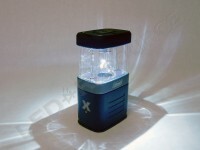 The Exponent 4AA Pack-Away Lantern uses 4AA batteries, which are inserted from the bottom. 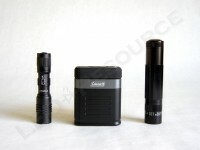 Both alkaline and NiMH batteries can be used. 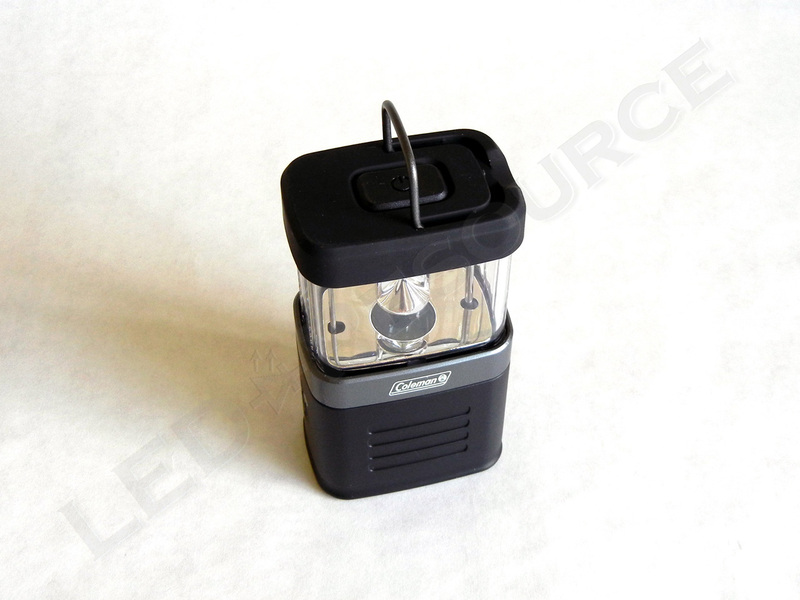 Covered with a rubberized coating, the top of the lantern has a foldable handle and power button, which is an electronic switch. The collapsible middle portion of the lantern houses the LED and conical reflector. 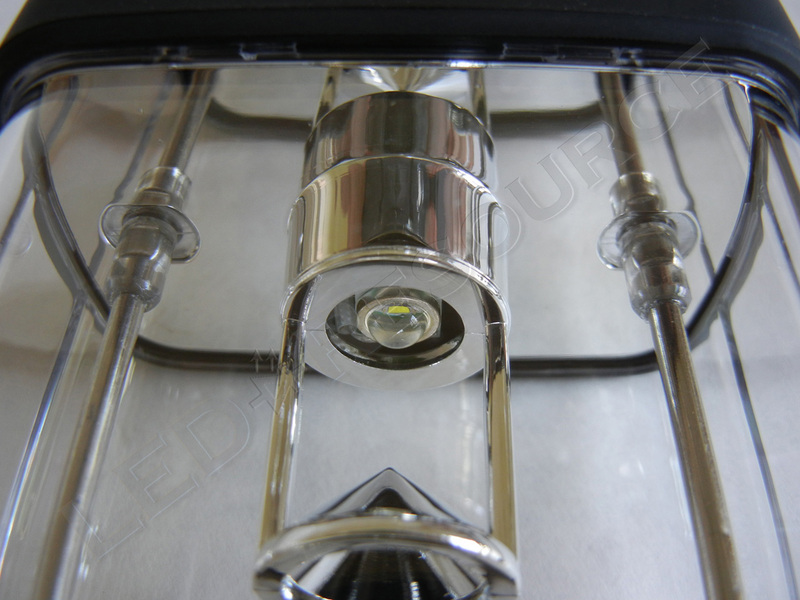 The conical shape reflects light in all directions, and the entire LED and reflector assembly retracts into the base when the lantern is closed. 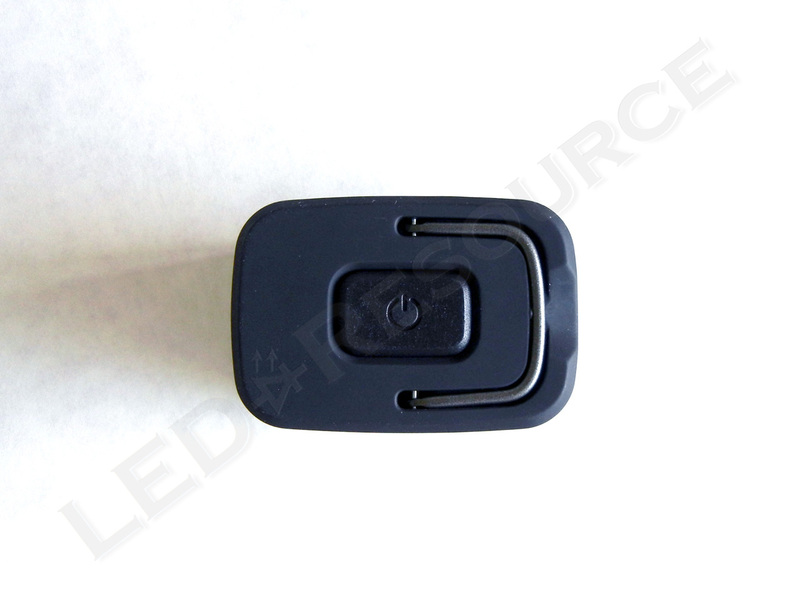 The base is made from soft plastic and houses the batteries, which are inserted from the bottom. 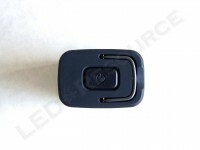 The battery cover can be unscrewed either by hand or with a coin. The Exponent 4AA Pack-Away Lantern has three modes, which cycle each time the power button is pressed. With two clicks, the low mode (approximately 50%) is activated. With three clicks, the strobe mode is activated with maximum brightness. 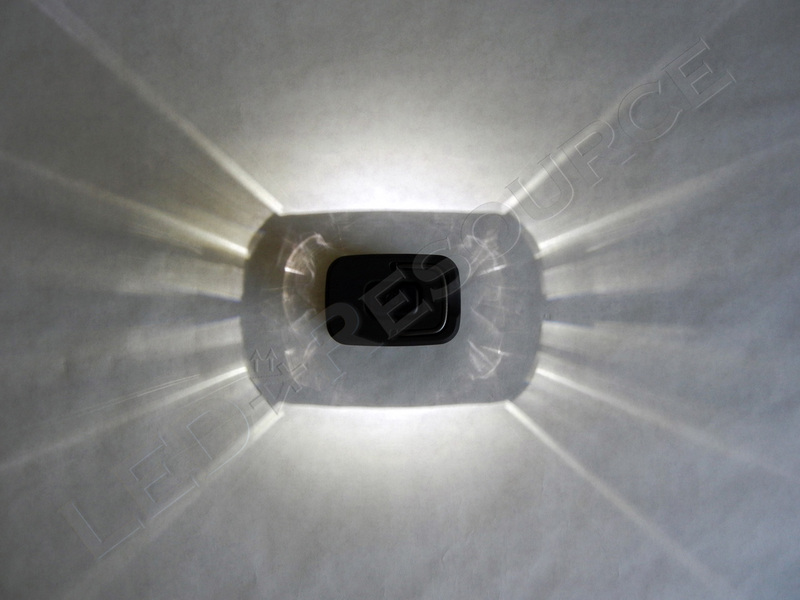 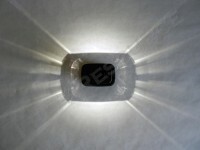 The “strobe” is a fast flash, not a flashlight strobe that is designed to be disorienting. 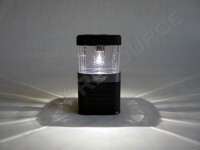 The lantern automatically turns off when collapsed, and to prevent accidental activation, does not turn on when stowed. 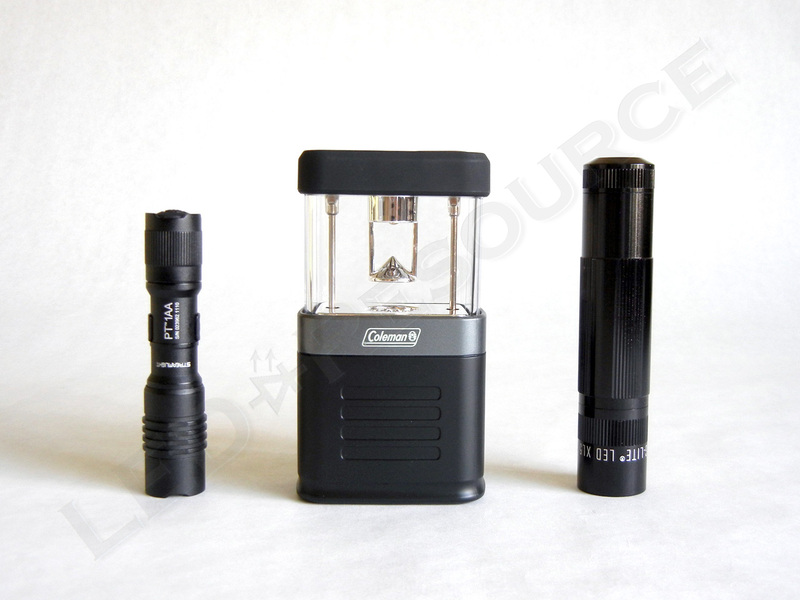 Powered by a single Cree XR-E LED, the lantern is rated for 95 lumens on high for 5 hours, and ~50 lumens on low for 12 hours (note: these specifications are not ANSI FL-1) on alkaline batteries. 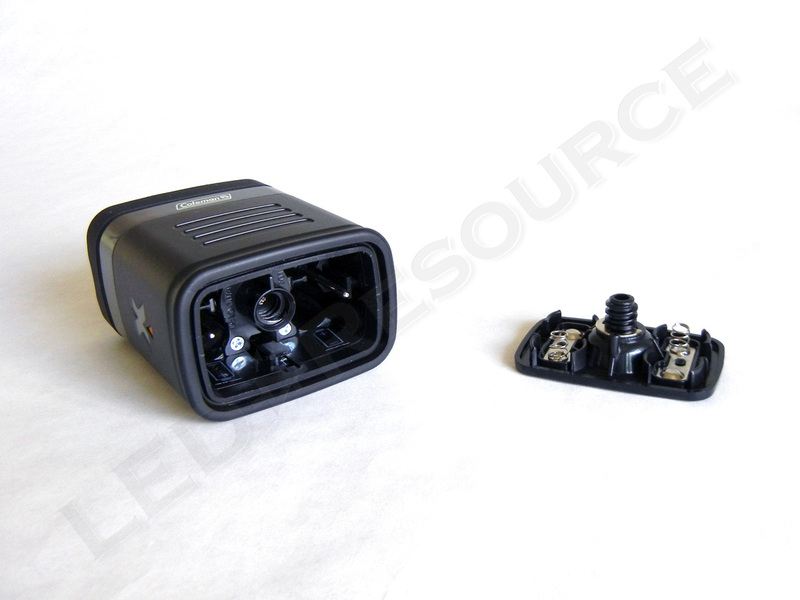 The compact pack-away design has a drawback in that the beam has artifacts due to the several support posts inside, but these are mostly on the left and right sides and doesn’t affect operation. We don’t recommend operating the lantern on high for more than an hour, as the top of the lantern gets quite warm, however we didn’t notice any problems during or after our runtime test. Capable of lighting up a small room, the Coleman Exponent 4AA Pack-Away Lantern is very bright for its small size. 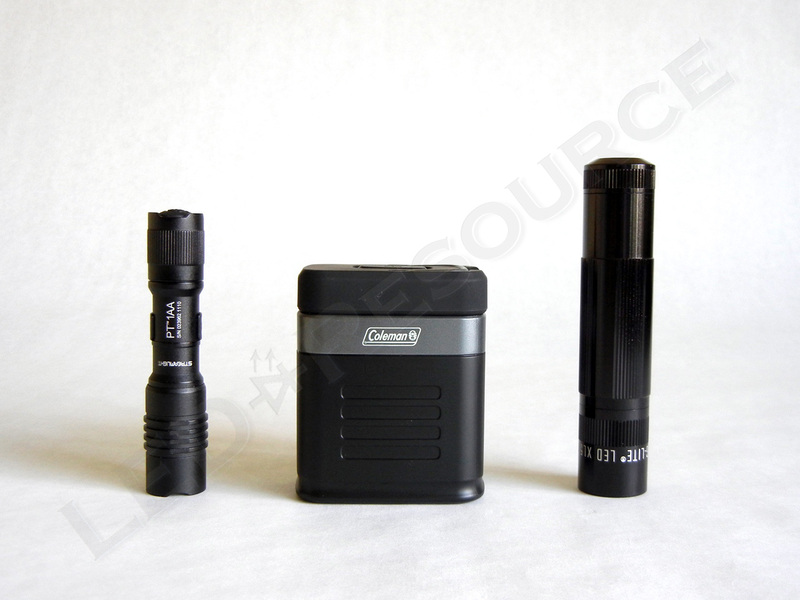 The 4AA Pack-Away Lantern offers two brightness levels, as well as an emergency signaling mode, for a runtime of up to 12 hours on alkaline or rechargeable NiMH batteries.